All for Africa, a non profit organization that works towards community initiatives to create long term sustainability on the continent of Africa, presents International Palm out Poverty Week, September 21-28. Their goal is to raise $500,000 to benefit the Palm Oil Initiative. The overall goal of the Initiative is to raise $20 million in order to implement the planting and harvesting of one million Palm Trees in West Africa. When mature and producing oil, these trees will generate approximately $20 million annually for the next 30 years. This annual revenue earned from the trees will be distributed amongst programs across Africa such as schools, clinics, and other community based organizations. 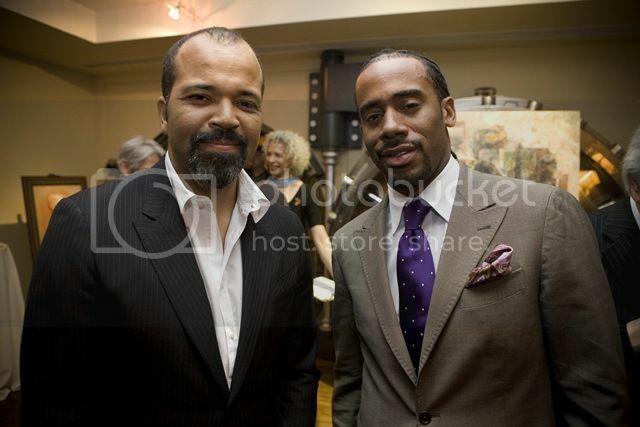 In New York City, All for Africa is hosting a number of fundraisers for UN officials and African dignitaries, a golf tournament at Manhattan Woods Golf Club, a social networking mixer for business professionals, a Fun-raising soiree, and the Atrium Gala at the Carlton Hotel. 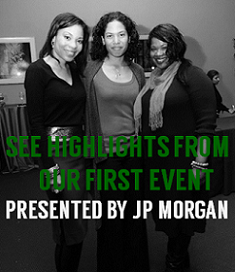 In addition, the Girlfriends of Atlanta Georgia will be hosting two events including a Teen Outreach program with a Movie Madness night, and A Midsummer Safar Affair at the Westin Hotel. Cost: Free admission! RSVP required HERE. Tickets: $20 advance tickets; $30 at the door; tickets can be purchased HERE. Tickets: $250 advance tickets; $400 VIP Celebrity Lounge; tickets can be purchased HERE. 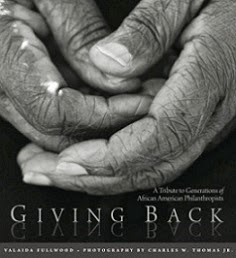 Visit the website at http://www.allforafrica.org/. 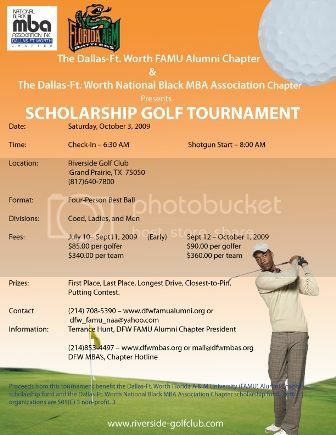 The Dallas-Fort Worth Chapters of the National Black MBA Association (NBMBAA-DFW) and the Florida A&M University Alumni invite the community to team up for education as they host their Scholarship Golf Tournament on the greens at the Riverside Golf Club in Grand Prairie, Texas on Saturday, October 3. They are swinging clubs for dollars to help raise funds to provide scholarships for local students to advance their education. Corporate professionals, families, community groups, entrepreneurs and civic organizations are all encouraged to support this effort. For more information, visit the website at http://www.dfwfamualumni.org/. September 26th-Hollywood CA: Hip hop artist Common will host the Common & Friends concert to benefit the Common Ground Foundation. A new lower ticket price has just been announced....$65. See your favorite hip hop artists live! Visit the website at http://www.commongroundfoundation.org/ for more information.